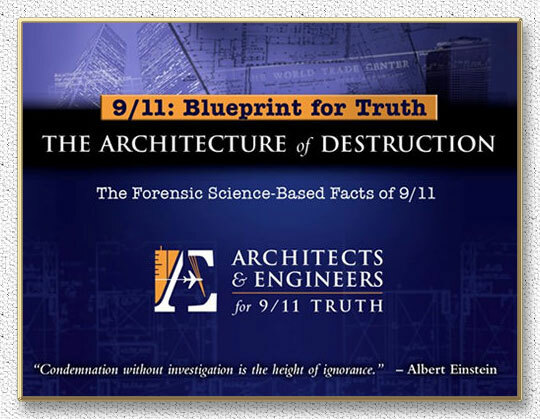 Editor’s Note: In recent years, various members of the AE911Truth team have been working on a white paper titled “Areas of Specific Concern in the NIST WTC Reports.” Last month they finally completed the document. Its 25 concise points offer the most convincing proof that the reports produced by the National Institute of Standards and Technology (NIST) on the September 11, 2001, destruction of the three World Trade Center buildings were unscientific and fraudulent. The authors of “The 25 Points” designed the document to provide material that would compel the convening of a grand jury. Whether or not a grand jury is ever impaneled in any jurisdiction, though, readers of this white paper have the duty and privilege of acting as a virtual grand jury in all jurisdictions. After weighing the evidence meticulously laid out in “The 25 Points,” readers can, by their resulting actions, help determine whether there will one day be a new, fully funded, truly independent, wholly transparent, and unimpeachably honest investigation of 9/11. Technical Statement: NIST maintains that WTC 7 collapsed due to fire acting upon the 13th floor A2001 girder between columns 79 and 44 and the beams framing into it from the east. They said that the beams expanded by 5.5” (revised in June 2012 to 6.25”), broke the girder erection bolts, and pushed this girder off its column 79 seat. This girder fell to floor 12, which then precipitated a cascade of floor failures from floor 12 down to floor 5, and column 79 then became unsupported laterally causing it to buckle. It is then said that column 79’s buckling caused the upper floors to cascade down, which started a chain reaction — a north-to-south then east-to-west horizontal, progressive collapse — with a global exterior collapse that was captured on the videos. The first omission concerns flange-to-web stiffeners on the south end of the girder (A2001). See drawing 9114. These omitted stiffeners would prevent the girder flange from folding when the girder web moved beyond the seat, requiring twice the possible expansion of the beams framing into the girder from the east to move the girder far enough to the west for it to fall off its seat. Technical Statement: NIST omitted three lateral support beams from the exterior frame to the north-most beam (G3005) framing into the A2001 girder between columns 44 and 79 from the east. The NIST WTC 7 report contains a second possible failure initiation mechanism, where G3005 buckles and causes the other four beams framing into the girder from the east (A3004, B3004, C3004, and K3004) to also buckle, lose their load-carrying capability, collapse downward, and rock (pull) the girder off its seats back to the east. When these lateral support beams are excluded in the NIST analysis, the beam slenderness is increased by 16 times, and this reduces the actual buckling load to 6% of what it would have been in reality. Analysis with the lateral support beams included shows that the beam would not buckle and that it would actually deflect the girder and put the other four beams in tension, eliminating any chance of them buckling, as beams and columns need to be in compression in order to buckle. Technical Statement: The exterior of the NIST WTC 7 computer model shows large deformations, as would be expected in a natural collapse, which are not observed in the video of the actual event. There is no attempt in the report to explain this discrepancy. In footage of the actual collapse, the west penthouse of WTC 7, which spans nearly half the length of the roof, starts to fall one-half of a second prior to the full exterior collapse, yet the NIST report claims that the entire interior failed and completely collapsed prior to the exterior shell collapsing. Since there was little-to-no visible deformation of the exterior in the actual collapse and since the west penthouse collapse timing indicates near- simultaneous interior and exterior failure, it seems clear that the severe deformation of the building’s exterior in the NIST model shows that their model does not replicate the actual collapse situation at all. The west penthouse drop starting just prior to that of the exterior is also indicative of controlled demolition, where the interior columns are severed just a fraction of a second prior to the exterior, in order to create an inward pull on the exterior and keep the debris contained within the building’s footprint. Technical Statement: In their WTC 7 FAQ, NIST claims to have investigated whether the building could have been brought down by controlled demolition and concluded that it was not. NIST says this even while admitting that they did not test for explosive residues in the rubble, after initially claiming that they “found no evidence of explosives or explosive residues” (while also making the simultaneous claim that no steel was saved from WTC 7 for analysis). Their conclusion is simply based on their claims that there were no sound levels measured which they feel would be indicative of the size of an explosion needed to destroy column 79 and that rigging the building in an undetected way would be difficult. Belying the NIST argument that it would be difficult to rig WTC 7 without being detected, there was a secret retrofit of the Citibank Tower in New York City in 1978, due to an engineering error that could have allowed the building to topple in 70 mph winds. In that case, after the problem was realized, secrecy was maintained to keep building occupants and nearby residents from panicking, though there was very little actual risk of danger. An evacuation plan for the building and surrounding area was drawn up, with the intent to implement it if high winds were imminent. Technical Statement: NIST’s draft WTC 7 report said, “Most of the beams and girders were made composite with the slabs through the use of shear studs. Typically, the shear studs were 0.75 inches in diameter by 5 inches long, spaced 1 to 2 feet on center.” However, in the final WTC 7 report, NIST says shear studs were not used on the girders. The significance here is that they claim the 13th floor A2001 girder was pushed off its seat at column 79 by thermally expanded beams from the east side of the building. If shear studs had been used on the girders, it would have been impossible for the beams to push the girder off its seat with the column. No drawings are shown in the final report to substantiate this new claim. In their WTC 7 model, NIST does not heat the concrete, only the steel. The implication is then made that the shear studs in the beams are broken due to differential expansion of the steel and concrete, allowing the beams to freely expand and force the now non-shear- studded girder off its seat at column 79, causing floors 12 and lower surrounding column 79 to collapse, leaving the column without sufficient lateral support and causing it to become unstable and to buckle. Concrete has nearly the same Coefficient of Thermal Expansion (CTE) as steel and would expand and contract at almost the same rate when heated or cooled. There is no analysis or any attempt to justify the position that the steel would have heated up to a greater degree than the concrete and produced a differential expansion. No physical testing was done to investigate the actual behavior of the materials involved; only computer modeling was performed without increasing the temperature of the concrete at all. Technical Statement: A registered structural engineer’s Freedom of Information Act (FOIA) request to NIST for calculations and analysis substantiating the walk-off failures of horizontal members from their seats, at columns 79 and 81, was denied in January 2010 by the director of NIST, who claimed that releasing this data “might jeopardize public safety.” On the contrary, if it were a peculiar situation that NIST had discovered, it would be the refusal to release this information to the architects and engineers who are tasked with the public’s safety that would be jeopardizing that very safety. Technical Statement: At one point, NIST admitted that only 0.25% to 0.50 % of the steel from the Twin Towers was saved for analysis. Later, NIST claimed that none of the steel from WTC 7 was saved for analysis. At another time, NIST mentioned that Dr. John Gross was in the salvage yards and was involved in the selection of pieces of steel to save. The NIST WTC Tower and WTC 7 reports do not explain why so little steel was saved and, incredibly, in the case of the Twin Towers, was dismissive when forced to admit that the steel saved from the buildings did not show that it had experienced high temperatures, by contending that “the sample size was not sufficient to be representative.” Why didn’t Dr. Gross save a sufficient sample size? The space required to store the steel would have been insignificant relative to the massive and historic issues to be resolved. Technical Statement: NIST did not take the FEMA documentation of melted steel and sulfidation in its Appendix C forensic analysis as being indicative of something that could have contributed to the collapses. Instead, NIST claims, without a basis, that the damage was caused in the rubble pile, although the extreme temperatures required to melt steel and the presence of sulfidation have no logical mechanism there. In February 2012 an FOIA request produced three photos, taken during October 2001, showing Dr. John Gross of NIST posing with a heavily eroded WTC 7 beam. These photos contradict Dr. Gross’ statements about not witnessing steel that had been subjected to high temperatures. In fact, Dr. Gross was on the team headed by Dr. Jonathan Barnett, who was responsible for discovering, during the FEMA investigation, the WTC 7 beam featured in the Appendix C forensic analysis, which was melted and sulfidated. This is one of the steel beams the ends of which Barnett had previously described as “partially evaporated.” Such evaporation required temperatures exceeding 4,000° F.
Technical Statement: In their initial draft report on the three building collapses, NIST claims that none of the steel from WTC 7 was saved for analysis. This is disconcerting, considering WTC 7 would have been the first steel-framed high-rise in history to ostensibly completely collapse due to fire. Alarmingly, in their final report on WTC 7 in November 2008, NIST makes no mention of the fact that no steel was saved from WTC 7 for analysis. This is confusing, as we now know that Dr. John Gross was involved as early as October 2001 in selecting pieces of steel to save for the NIST investigations into the failures of all three buildings. Technical Statement: The fire severity and durations shown in the NIST reports do not match the observations in the videos of all three skyscrapers. They are highly exaggerated. The actual fires, particularly in WTC 2, are nearly exhausted, with thick black smoke indicating cooler fires. The WTC 7 fires are few, small, and scattered. On floor 12, the location of the fires that NIST claims to have caused the initiation of collapse due to thermal expansion are shown to be burned out more than one hour prior to the building’s fall. Thus they could not have been responsible for WTC 7’s destruction, as the expanding beams would have cooled and contracted by then. Technical Statement: Dr. John Gross has denied that there is evidence of molten iron/steel in the rubble of the three collapsed buildings, despite numerous eyewitnesses testifying to this and despite the physical evidence of what have come to be called “meteorites,” which are made up of solidified slag from pools of molten iron and steel that were “flowing like lava,” according to firefighters. Again, the significance here is that the temperatures which can be achieved by diffuse flame hydrocarbon or office fires range from 600° to a maximum of 1,800° F, which is well below the 2,750° F initial melting temperature of steel and iron. Technical Statement: NIST has admitted that they did not test for explosives, and their director of public relations is on record saying, “If you are going to test for something that is not there, you are wasting your time and the taxpayers’ money.” In the oral histories taken down in late 2001 and early 2002 from New York City emergency personnel, there are over 100 individuals who make comments about seeing, hearing, and experiencing explosions. These oral histories were documented well before NIST started their WTC investigation in September 2002. This testimony should have caused the presumption that there was a good chance explosive residue would be found — and justified testing for it rather than the opposite. On what basis would NIST have presumed that there was little chance of explosive residue to be found and that it would be a waste of time and money? NIST acknowledges in their response to a Request for Correction submitted by AE911Truth that they are “unable to provide a full explanation of the total collapse.” And yet NIST refused to consider the possibility that explosives could have been used to cause the collapses of the Twin Towers — though controlled demolition is consistent with all of the available technical evidence. Technical Statement: NIST and FEMA did not follow standard procedure for fire and explosion investigations. This is covered in the National Fire Protection Association’s investigation standard NFPA 921, Guide for Fire and Explosion Investigations, where it is clearly stated that looking for explosive residues and accelerants is the standard procedure for fire and explosion investigations. NFPA 921 also states that if they are not tested for one should be prepared to explain why they weren’t. NIST is often responsible for generating information from which the NFPA standards are written. Why would the NFPA standard not be followed in this case? NIST has not answered this question publicly. Technical Statement: NIST claims that the aircraft impact debris in WTC 1 stripped the fireproofing materials from the floor truss assemblies — even on the opposite side of the building from the impact — to the point where the floor assembly steel was then vulnerable to fire. NIST attempted to validate this hypothesis with ballistic firing equipment, firing buckshot and shrapnel at steel plates and bars coated with SFRM (Sprayed on Fire Resistant Material). During the testing, the gun was fired at velocities of approximately 500 ft/s and produced damage to the SFRM, but at one point it misfired and produced a projectile velocity of just 102 ft/s (31 m/s), which resulted in no damage to the SFRM. WTC 1 was impacted on the north side of the building. NIST claims that the fireproofing was stripped from the trusses on the south side, causing them to sag and pull the south face of the building inward, initiating the collapse. However, NIST’s own analysis of the aircraft’s deceleration, 0.40 seconds after impacting WTC 1 on the north face, shows the debris field moving at approximately 51 ft/s (15 m/s) as it enters the floor assembly area on the south side of the building. How can NIST justify the aircraft debris damaging the SFRM on the floor assembly steel on the south side of the building when their own testing and analyses seem to rule it out? Technical Statement: NIST’s own physical testing for actual steel temperatures on the 236 pieces they selected from the Twin Towers in the areas closest to the hottest fires showed that only three pieces had experienced temperatures above 250° C — a temperature where steel has not yet lost any strength. Of those three, none had experienced temperatures beyond 600° C, the point at which structural steel loses about half its strength. Note this critical zone in the graph below. NIST’s own physical evidence shows that the vast majority of the steel had not experienced temperatures where it lost any strength, though in the report NIST claims a large number of steel structural members would have been heated to temperatures of 700° C.
Technical Statement: NIST hired Underwriter Laboratories to perform testing of the Twin Tower floor assemblies per ASTM E119 in a two-hour, 2,000° F fire test. During the tests, the main trusses did not fail — and sagged only 4” after 60 minutes and 6” after 100 minutes, which were the approximate durations of the fires in WTC 2 and WTC 1, respectively. NIST was clearly not using these test results as their basis when they showed the main trusses sagging more than 40” in their models. Technical Statement: The NIST report claims that the collapse of WTC 1 was initiated by the south exterior wall buckling. The report claims that this was due to “inward bowing” and buckling of the exterior columns — alleged to be caused by sagging of the floor trusses. However, the NIST computer model did not show this to occur with natural inputs and sagging floor trusses. To actually cause the perimeter column failure, an artificial lateral load of 5,000 lbs. had to be applied to each perimeter column from the outside of the building. In reality, there was of course no such force available. NIST claims, in a circular argument, that this artificial lateral load was applied to the exterior columns in an attempt to match the observed inward bowing, even though their model could not produce it naturally with their theory of sagging trusses causing it. It is much more likely that the core columns, which would have been falling after their failure was caused by explosives or incendiaries, would have pulled on the trusses with great force, generating the observed inward bowing of the exterior columns to which the opposite end of the trusses were attached. Technical Statement: The NIST WTC report acknowledges that it does not provide a technical analysis of the structural behavior of the Twin Towers during the collapse itself. The report stops its analyses for both towers at the point of collapse initiation where the claim is made that “the tower was poised to collapse.” It simply suggests that “global collapse naturally followed” and then depends upon a paper written by Northwestern University civil engineering professor Zdenek Bazant for an explanation of how the collapse could continue (a complex study that was, interestingly, submitted just two days after 9/11/01). However, Dr. Bazant starts his analysis after the upper section of the building has already fallen one story. Since NIST actually stopped their analysis at an alleged south exterior wall failure in WTC 1 and east exterior wall failure in WTC 2, prior to any “fall” at all, this leaves completely unexplained how these partial failures could have propagated across the building, to cause the collapses of the full upper sections of the buildings. In fact, what is seen in the videos is quite different from anything modeled, or claimed, by NIST. The videos show a “disintegration” of the initiating zone at the onset of each collapse. The upper 12- story section of the North Tower destroys itself in the first four seconds of the building’s collapse — almost in a telescoping internal implosion like a controlled explosive demolition — such that it is not even available as a mass, after the initial four seconds of the “collapse,” to act as the “pile driver” propelling the rest of the building down to the ground, as is alleged by NIST and Bazant. Technical Statement: The NIST report claims that WTC 1 tilted 8° to the south and then began its descent. There is no analysis provided to back this assertion. Analyses of video by individual researchers have shown only a very small tilt of 1° or less prior to the descent of the upper 12 stories, and only after at least a two-story vertical drop was there a larger tilt of 8° to the south. Most or all of the columns on the 98th floor, where the collapse initiated, must have failed simultaneously in order to allow the initial symmetrical descent at two- thirds of free-fall acceleration, destroying the upper 12-story block in the first four seconds. The only mechanism available for such destruction or failure of columns is timed-sequenced explosives — typical in controlled implosions. This sudden collapse, which could only have been the result of instantaneous column destruction, also refutes the NIST assertion that a south wall failure precipitated a gradual south-to-north failure. Technical Statement: In his papers, Dr. Zdenek Bazant claims that an “amplified dynamic load” occurred at the impact between the Twin Towers’ falling upper section and the structure below, and that this is what caused the reserve strength of the structure below to be overcome by the otherwise insufficient static load above. However, by definition, the generation of an amplified load requires a deceleration upon impact, and a velocity loss would be a necessary result of such deceleration. Since Dr. Bazant’s first paper was written and published, the rate of fall of the upper section of WTC 1 has actually been measured by a number of individual researchers. Dr. Bazant initially neglected this simple analysis in his paper submitted to the Journal of Engineering Mechanics on Sept. 13, 2001, only two days after the event. These measurements all show that the upper section never decelerates and never experiences velocity loss. In fact, the upper section of WTC 1 continuously accelerates at approximately 64% of the rate of gravity. By contrast, building demolitions that use the Verinage technique, where gravity alone is used to demolish the structure below after a fall of a couple of stories instigated by mechanical means such as hydraulic rams breaking the columns, a clear deceleration and velocity loss is observed when the upper section impacts the lower. All of Dr. Bazant’s papers use free-fall acceleration through the first story and the maximum design load mass of the falling upper section. Neither of these are representative of the actual situation, so this causes an embellishment of the upper section’s kinetic energy in his papers. He also significantly underestimates the energy dissipation due to column deformation during impact. Dr. Bazant has been made aware of these problems with his hypothesis, and in January 2011 he had a paper published by the Journal of Engineering Mechanics where, with a graduate student as his co-author, he tried to claim the deceleration would not be observable. This paper has been shown to use fraudulent values for both inertial and column deformation energy losses. However, NIST continues to use his work. Recent research using test results vs.the three-hinge method for estimating energy dissipation caused by plastic hinge formation in axially-loaded buckling columns has shown the three-hinge method to significantly underestimate it — and this is without using fraudulently low column plastic moment (Mp) values, as Le and Bazant did in their paper. This research provides even more support for the contention that the lack of deceleration in the descent of WTC 1 is a severe impediment for a natural-collapse scenario. The velocity graphs of the upper sections of both a building demolished by the Verinage technique and that of WTC 1 are shown below. Note the abrupt reduction of velocity in the natural force collapse using the Verinage demolition method on the Balzac-Vitry building in France vs the continuous acceleration of WTC 1. The columns in WTC 1 must have been “removed” prior to impact. This can only be done by explosives — for which there is abundant evidence, as outlined in the documentary film, 9/11: Explosive Evidence—Experts Speak Out. Technical Statement: NIST claims that the “upper section” of each of the Twin Towers crushed the lower section. However, video analysis clearly reveals that the upper section’s structure (above the point of jet plane impacts) disintegrated significantly prior to any crushing of the lower block. After this point some other set of forces must be destroying the buildings. A closer look at the videos reveals those sources to be a series of explosions racing down the corners of the building, under the zone of destruction, at a rate equal to about two-thirds of free-fall acceleration. Technical Statement: NIST calculates the DCR (Demand-to-Capacity Ratio, which is the reciprocal of factor of safety) of the tower columns for a worst-case design load, not the actual in-service load. As a result, the reader is left with the impression that the tower columns were less robust relative to the load they were carrying than they were in reality. A failure analysis normally uses the actual in-service load and provides the actual DCR, or factor of safety, during failure. Technical Point: NIST has not adequately explained the yellow-orange fluorescing molten metal observed pouring out of the northeast corner of the 78th floor of WTC 2 shortly before its collapse. In a FAQ article, they claimed that it could have been aluminum. However, when it was explained to them that aluminum fluoresces as a silvery color, they postulated that the aluminum could have been mixed with organics to give it the yellow- orange glow. When physics professor Dr. Steven Jones performed an experiment by adding organics to molten aluminum, they did not mix. The organics consistently floated to the top, no matter how thoroughly they were mixed into the molten aluminum. The significance here is that the maximum temperatures which can be achieved by diffuse flame hydrocarbon (jet fuel or office fires) is in the range of 600° to a maximum of 1,800° F, well below the 2,750° F minimum melting temperature of steel or iron (which does fluoresce yellow-orange in its molten state). Further chemical tests by Dr. Jones on samples of solidified molten metal slag from the WTC site found that it was indeed molten iron — and that the molten iron had the chemical evidence of thermite in it. Thermite is an incendiary designed to cut through steel like a hot knife through butter — particularly when used in a patented cutter charge device designed to eject liquid molten iron in just milliseconds, as described in the text of the patented thermite cutter charge device shown below. There has been no further response from NIST on this issue.